4.5 12 Be the first to write a review! Candle by the Hour beehive candle is easy to use and lasts hours upon hours. 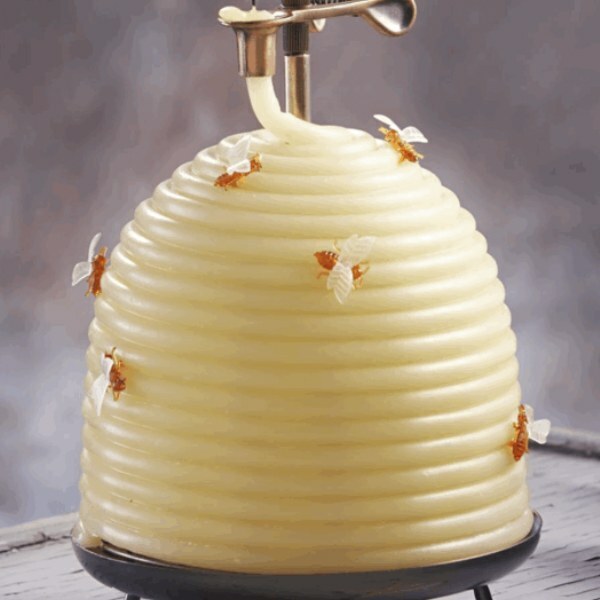 Candle by the Hour beehive candle is easy to use and lasts hours upon hours. Merely place the beeswax coil through the spring loaded clip in increments of 3 inches or less. Each three inches of candle wax will burn approximately one hour. The beehive design is creative and fun, giving any room the perfect touch.